1) Before using to brew tea, boil a pot of water and pour it out to prepare the pot for use. 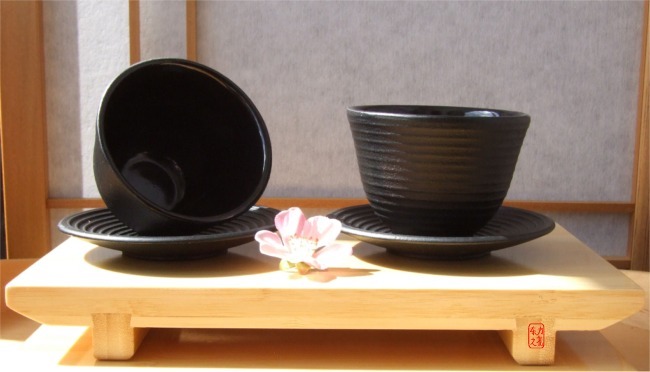 2) After each use, make sure that the pot is clean and dry to prevent the formation of rust. If water is left in the pot, chemicals from the minerals in the water may eventually erode the enamel coating. 3) Tea should not be left in the pot overnight. 4) In the unlikely event of rust, the pot can still be used. After cleaning the rusted area with a soft brush, boil used teabags or tealeaves. The tannic acid from the tea will react naturally with the iron producing a coating over the area. 5) Store your pot in a cool, dry place or put it on display. These have been made to match our range of cast iron Teapots & Kettles to protect your surfaces from the heat. At the base of these trivets are five legs. 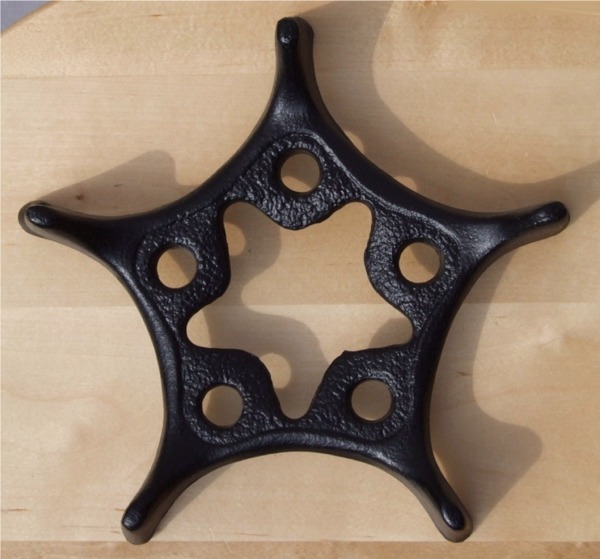 Note this trivet does not have rubber feet. 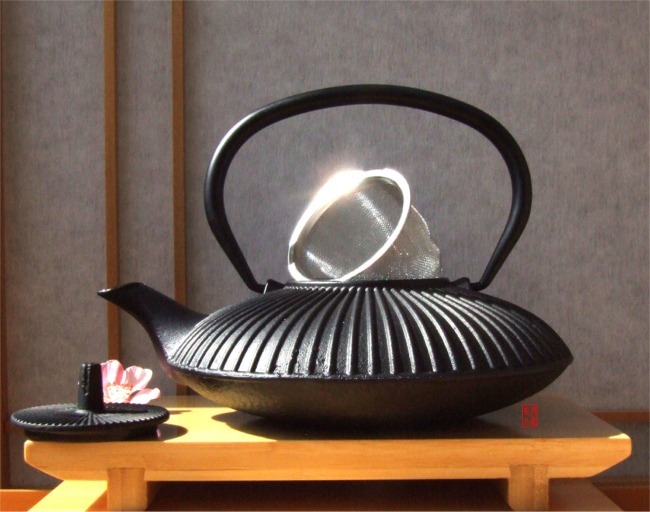 Wider pans and Teapots with a base of 17cm can sit on top of the Trivet. 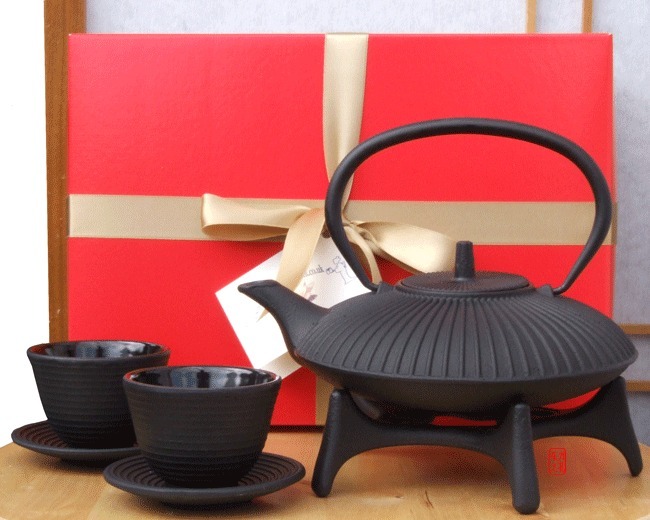 Teapots with a base of 10cm sit very securely at the lower level of the Trivet. These cups are hot to the touch when the tea is first poured, but cool to a comfortable and enjoyable hand warming level as you sit back and relax.